Facebook Business Manager allows you to step up, run and manage your Facebook Business Pages. If you want a more effective dashboard with various options that can help increase your marketing efforts than Facebook Business Manager is for you. It's the one spot you can manage all of your Facebook marketing and advertising efforts. 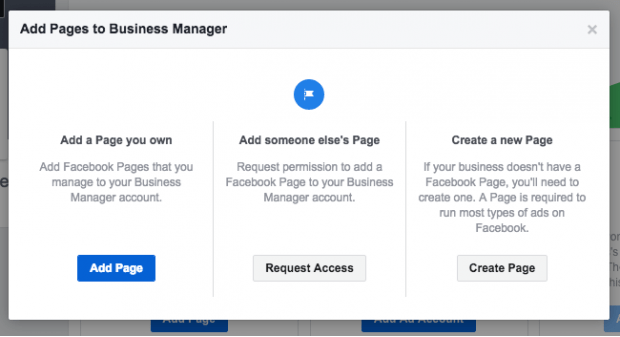 We created a step-by-step guide to setting up your Facebook Business Manager. With the Facebook Business manager you get more detailed information about your pages, access to creating, you are able to setup improved analytics, track specific metrics with the Facebook Pixel and many other things that will overall give you a more effective place to manage your Facebook and Instagram marketing efforts. If you’ve haven't yet set up your Facebook Business Manager then now would be the time to do so because you have many opportunities waiting for you. 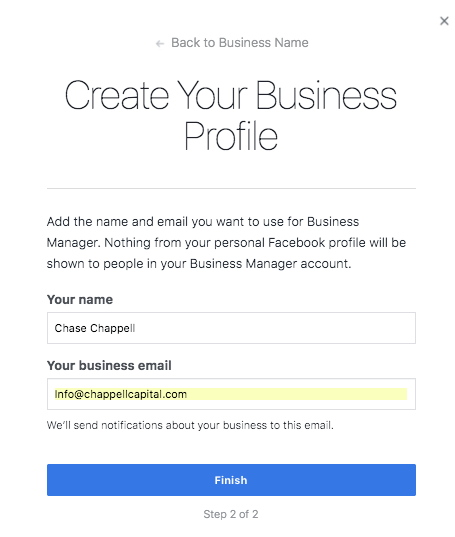 If you already have a business profile set up on Facebook then you should have no problem setting up the business manager. 1. Visit business.Facebook.com and click 'Create Account' at the top left of the page. 2. Log in and enter your business name in the pop-up box, then click 'Continue'. 3. You will enter your name and the business email that will be associated with your business manager account. You're going to have 3 main options to choose from in this step. Add your existing business page or pages. You can add an Ad Account. Add people to your business manager (Your agency, your marketer or team members who will be managing your account). An important thing to note for agencies who are going to manage their clients' pages - make sure to request access to their page rather than add it. 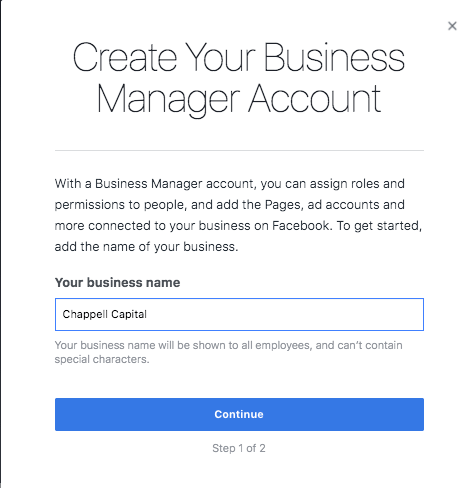 Because the Facebook Business Manager likes to create ownership of properties which is nearly impossible to change ownership after you add a page or it's super complicated trying to get Facebook to accept the transfer of ownership. For the continuing of the step-by-step guide, I will assume you are going to be managing your own business properties. 1. In the Business Manager dashboard, click 'Add Page', and in the pop-up box, click 'Add Page' again. 2. You will then type in your page name and click on your business page name. 3. You might have more business pages you would like to add to continue to add those pages by following the same steps. 1. In the Business Manager dashboard, click 'Add Ad Account', and then click 'Add Ad Account' again. You will be asked to enter the ad account ID, which you can find in Ads Manager or if you don't have an ad account then you can just click 'Create Ad Account'. 2. Enter a name for your ad account, then click 'Create Ad Account'. Each business can create one ad account right from the start. 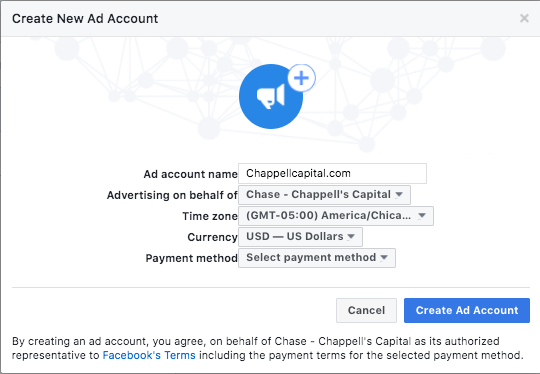 Once you start spending more money on your ad account your Facebook business manager will get access to 4 more ad accounts. 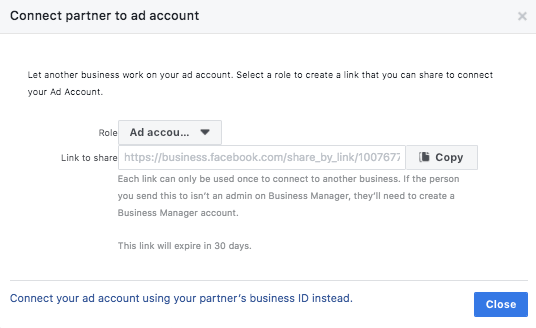 Facebook ad account and the business manager will start adding more options, features and give you more access as you start to spend more money and manage larger pages. For example, we passed a certain monthly ad spend with our agency and manage a large number of pages so we have gained access be able to create up too 800 ad accounts. Now, not everyone is going to need 800 ad accounts. But if you are trying to get access to more features you now know the metrics as to why you might get more access to different benefits. Staying on top of your Facebook marketing efforts can be a big and hard job to keep up with. So doing it alone can be a troubling task. 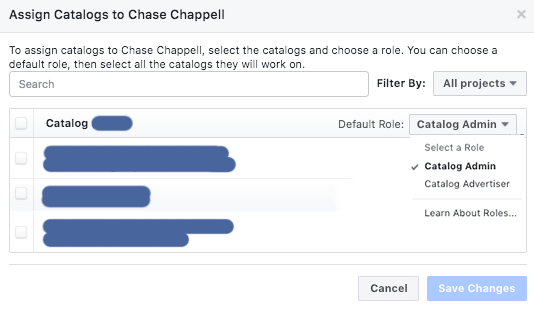 Thankfully, Facebook Business Manager allows you to add people such as your agency, your current team members or someone you trust to help you. 1. In your Business Manager dashboard, click on the 'gear icon' in the top right of the page. 2. Click 'People and Assets' tab, then click 'People'. This is going to bring up a list of people who have access to your pages, ad accounts, and other assets and where you can assign job roles to each person for a specific asset they will be managing. You’ll probably just see yourself listed right now because you just set up your business manager, but we’re about to start adding people and the way it looks will change. 3. Click 'Add' to start adding your team members and assign job roles to each new user. 4. In the pop-up box, enter the business email addresses of team members you want to add. Decide which role to assign that best fits the person you are adding. You can get more specific with the job role in the next as well. There will be 4 options you can choose from and you can assign all of those options or just specific ones. Then click 'Add People' once you have selected the options you decide to go with. 5. Now you will want to choose which pages the team members will be able to work on. Here are the 5 main options you have for assigning specific access. Each role will have a different amount of access to what the person can and can't do. Once you’ve assigned the roles to the people, click 'Ad accounts'. 6. Assign roles for each ad account, you will have several choices to choose from. If you have product and service catalogs you will as well assign roles to those assets. 7. Assign product and service catalogs and finally, you will click 'invite' once you're done. You’ll get a notice telling you how many people you have added and what roles you’ve assigned. Each of the people you assigned will need to accept the invite to manage the page. You can see all of the pending requests from your dashboard. You can also cancel them at any time for people who have not responded or if you accidentally assigned the wrong role. 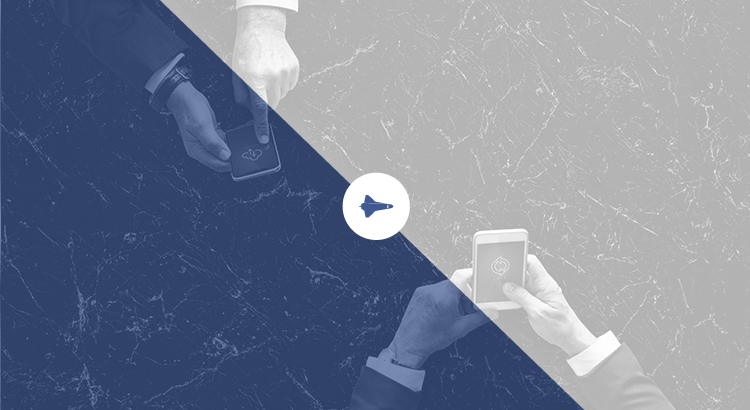 If someone with access leaves your company or switches to a different role, you can revoke their permissions as well. This step might not apply to you if you are just getting started with Facebook advertising, you can always come back to this step in the future. 1. In your Business Manager dashboard, click the 'gear icon' in the top right. 2. Click the 'People and Assets' tab. 3. Select your Facebook page or Ad Account, then click 'Partners'. 5. Choose the role you want to assign to your partner or agency. The roles are the same as described in 'step 4'. 6. Copy the link provided and send it to your partner or agency so they can accept access to join the role they have been given. 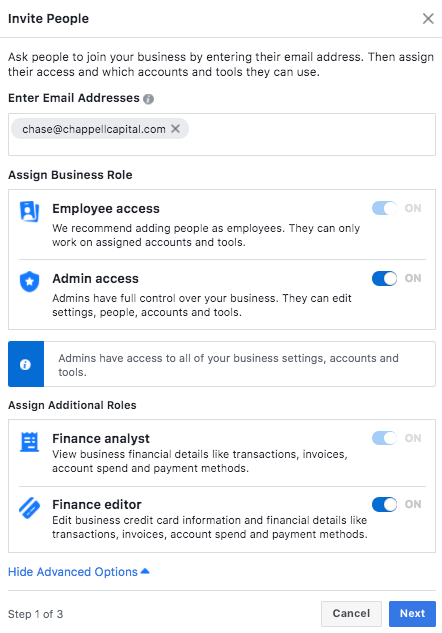 The agency you’ve just added can manage permissions for the individuals on their own teams from their Facebook Business Manager. So you don’t need to worry about assigning, managing permissions or running the advertising efforts for your page and all the other individuals managing it. Your agency or partner company will usually handle all aspects of Facebook and Instagram marketing for you. 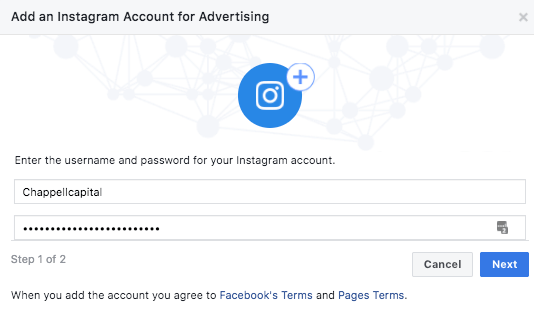 You are able to connect your Instagram account to Facebook Business Manager as well so you or your agency can run ads using the Business Manager on Instagram. 1. In your Business Manager dashboard, click on the 'gear icon' in the top right. 2. Click 'People and Assets' tab and choose Instagram Accounts. Then click 'Add'. There will be a pop-up box, you will then enter your Instagram login information and 'Next'. 3. If you have more than one ad account you will choose which ones to link to your Instagram business page and then click 'Next'. You’ll get another pop-up confirming your Instagram business account has been added successfully and you will just click 'Done'. 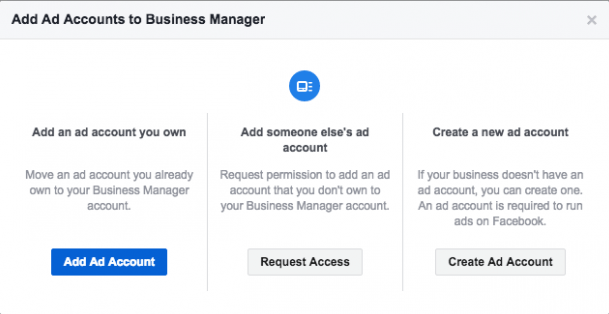 What is the Facebook Business Manager dashboard? The Facebook Business Manager dashboard is your central hub for all Facebook and Instagram marketing/advertising activities. You’ll go here to update your page, view your page, look at ad insights, start new ad campaigns, and be able to manage all kinds of other aspects to successfully run your account. If you would like to see all of the possibilities of what you can do just click on 'Business Manager' at the top left of your dashboard. You’ll see everything in 5 sections that as well have sub-categories for more specific information. Once again your dashboard and categories might have different information and access that's because you have to continue to set up things and have those assets to see certain categories. Now you're going to want to set up the Facebook pixel so you can start gathering targeted information. So when your agency or whoever will be managing your ads will be able to look at the analytics and have data to use to help increase the effectiveness of your campaigns. You might be wondering what a 'Facebook pixel' is? So to put it simply, it’s a small piece of code that Facebook generates for you and when you place that code on your website, it uses all the traffic to your website to create detailed reports. Which gives you access to information that will allow you to track conversions, optimize ads, build targeted audiences for your ads, retarget leads and create lookalike audiences to increase conversions. 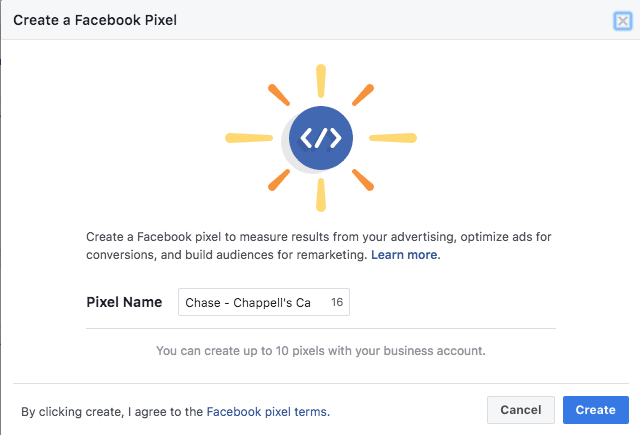 It's best to set up your Facebook pixel right away, even if you’re not going to run your first ad campaign until later. The reason why is because the information it gathers now will be very valuable in the future when you are ready to start advertising. 2. Click 'Business manager' at the top left and choose 'Pixels' under measure & report. 3. Click 'Add Data Source' and then select 'Facebook Pixel'. 4. Enter a name for your pixel, then click 'Create'. 5. The pixel will then be created, now click 'Set up the Pixel Now'. 6. There will be a list of options for you to choose from whether you have a Shopify site, WordPress site or another website you just follow the instructions for the platform you are using. You can only create up to a certain number of pixels for your business manager when you set up. Keep in mind from earlier that the more you spend and the larger your account grows Facebook will start giving you more access to pixels. So make sure you use the first few you get wisely. 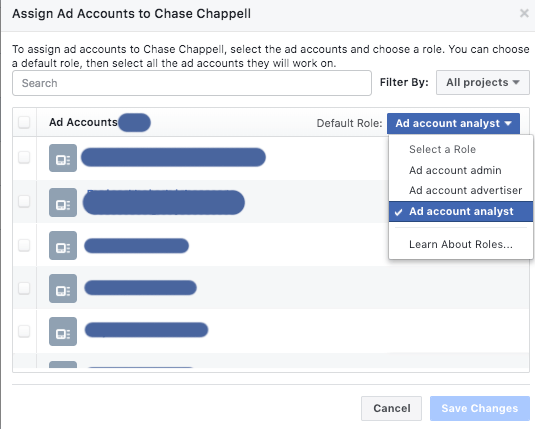 Ready to create your ad campaign in the Facebook Business Manager? 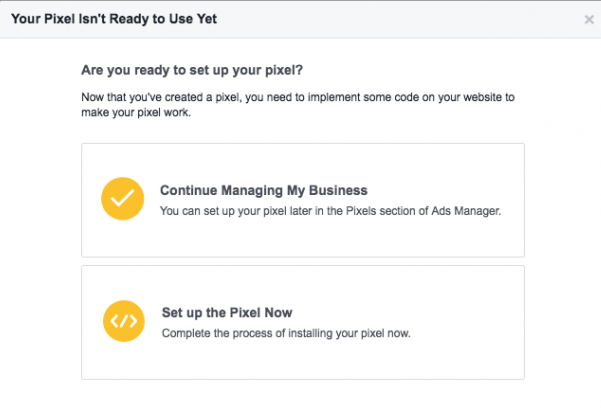 Now that your pixel is working, it’s time to launch your first advertising campaign in the Facebook Business Manager. Before you start you might want to understand the different options you have for Facebook targeting so that way you can choose the most effective option for your business. We have created a guide for those Facebook targeting options. 1. In your Business Manager dashboard, click 'Business Manager' on the top left. 2. Under Create & Manage, click 'Ads Manager', then click the green 'Create' button. 3. Next, you will be prompted with a list of options you are going to need to choose which option best fits your marketing objective and goals you have for your business and your ad campaign. 4. Once you have chosen your marketing objective for your ad campaign you will need to follow the rest of the information that is provided in setting up your marketing campaign. Each campaign objective will have different options and you or your agency will more than likely know what options and targeted information to use when setting up your campaign. With the small amount of effort you have invested today, you already got everything centralized in one single spot to manage your business page, ad accounts, and analytics. 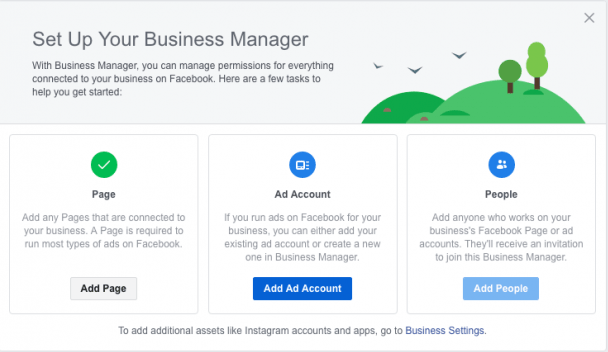 Now you’re ready to use the Facebook Business Manager to make the most out of your Facebook and Instagram marketing efforts. We went over how you can set up your pixel to start getting data about the people who are visiting your website. You can as well use the pixel on a landing page and even a giveaway. We went through the steps to set up your ad accounts; give your agency access to help manage all of your marketing and ask how to add your Instagram page for optimal information. There is still so much you can do. 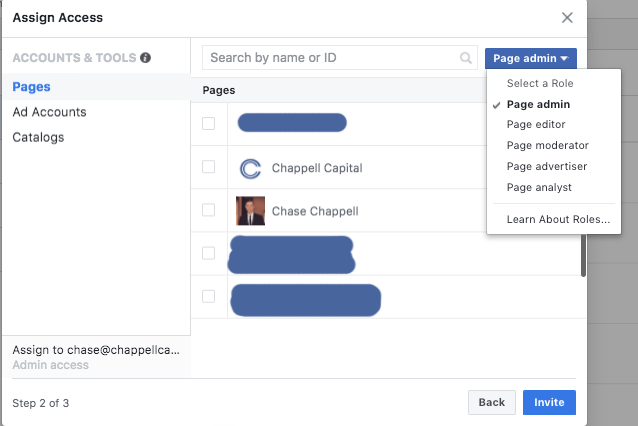 So make sure to continue learning with the Facebook Business Manager. So make sure you are regularly checking out these articles because we are constantly releasing new content on social media marketing. As well as other topics to improve your advertising efforts.